How did Southwestern peoples make a living in the vast arid reaches of the Great Basin? When and why did violence erupt in the Mesa Verde region? Who were the Fremont people? How do some Hopis view Chaco Canyon? 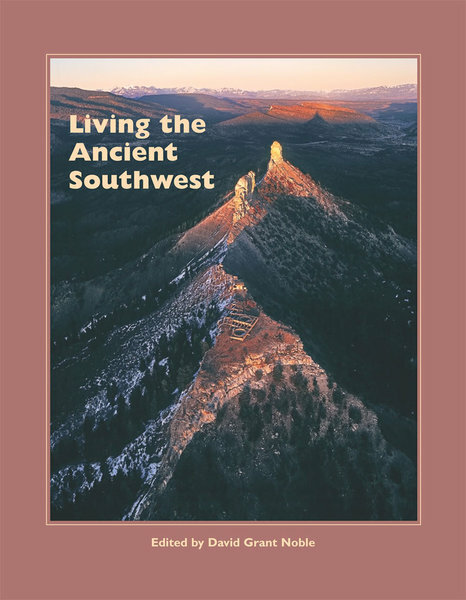 These are just a few of the topics addressed in Living the Ancient Southwest. In this illustrated anthology, readers will discover chapters written over the past several decades by anthropologist-writers. They speak about the beauty and originality of Mimbres pottery, the rock paintings in Canyon de Chelly, the history of the Wupatki Navajos, O’odham songs describing ancient trails to the Pacific Coast, and other subjects relating to the deep indigenous history and culture of the American Southwest. *NEW*: Hear the Santa Fe Radio Cafe Interview with David Grant Noble, which aired on January 22, 2015.